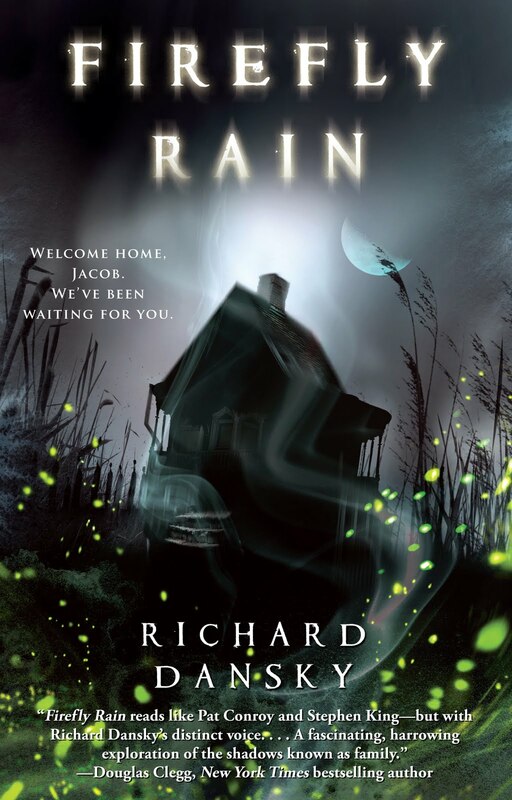 Not to be confused with Firefly Lane, Richard Dansky’s debut novel Firefly Rain is about the prodigal son coming back to his childhood home in some back woods town in North Carolina – although he just calls it ‘Carolina.’ His business in Boston has failed, his parents are dead, but the old homestead is just waiting for him. So, yeah, Jacob Logan goes home to Maryfield. His childhood isn’t quite as he remembered it. For one thing, the fireflies he used to catch on his property now don’t seem to want to come onto Logan land – they stop just at the border of his property and if they cross onto it, they die. For another, his house is creepy – doors open and bang shut; toy soldiers turn up where they shouldn’t be. Carl, the old guy who Jacob has been paying to look after the property after his parents died, is weirdly antagonistic. Then someone steals his car. Nothing was scary about this book. At all. Except perhaps the way the characters spoke. Then there’s the scene where Jacob chases his stolen car up and down a dirt road until he finally collapses in the ditch. In his slippers. In the rain. And then there’s the convoluted denouement – where all the men of Maryfield show up on the property because of some wacky promise they made to Jacob’s mother. I didn’t really get it…but by then, I didn’t really care. This entry was posted in Book Chat and tagged 2014, horror, really disappointing books by Christie. Bookmark the permalink.